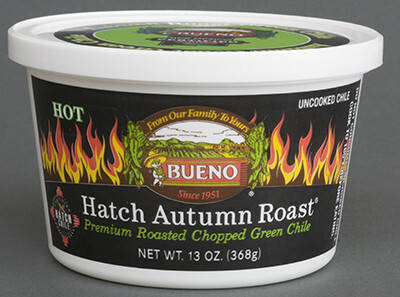 New Mexico Certified Chile™ guaranteed to be grown in the fertile Hatch River Valley and roasted to perfection at our premium level roast, deeply caramelizing the natural sugars in the chile, giving it a robust, wholesome flavor like New Mexicans have enjoyed for generations. New Mexico Certified Chile™, harvested fresh, flame roasted, peeled, diced, packaged and flash frozen to lock in the chile’s natural flavor and nutrients — all within 24 hours of harvest! 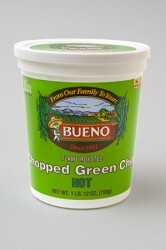 100% green chile: no citric acid, no preservatives, no additives. Pure New Mexico goodness grown by New Mexican farmers and produced by a New Mexican family. Hot, Mild or Extra Hot. Regular Roast - 28 oz. New Mexico Certified Chile™, harvested fresh, flame roasted, peeled, diced, packaged and flash frozen to lock in the chile’s natural flavor and nutrients — all within 24 hours of harvest! 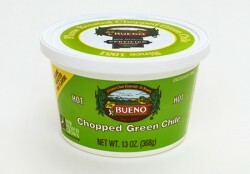 100% green chile: no citric acid, no preservatives, no additives. Pure New Mexico goodness grown by New Mexican farmers and produced by a New Mexican family. Hot or Mild. The inspiration for our premium roast chile came from our childhood: the smoky sweet aroma of roasted green chile wafting from our grandmother’s kitchen on a nippy autumn day. As she turned the blackened chiles on a griddle, she reminisced about her mother roasting chile on her wood stove. 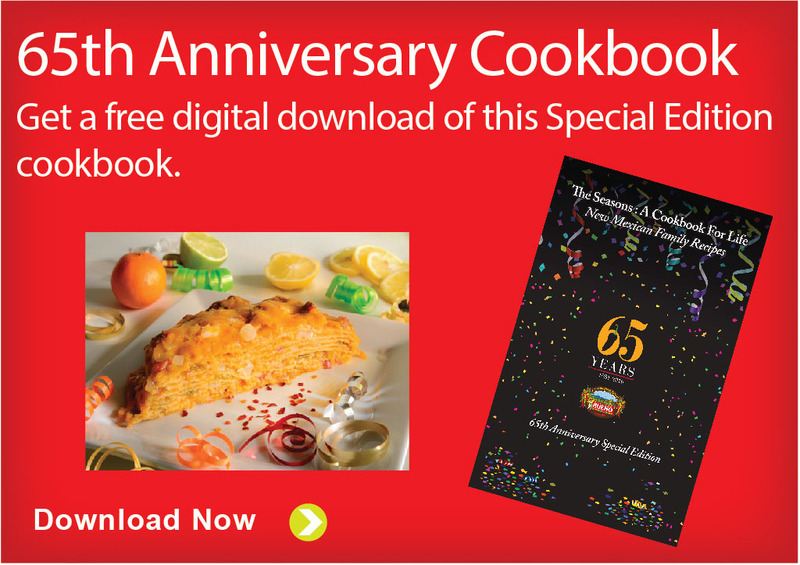 Every generation fondly remembers this time-honored New Mexican tradition and we hope you will too as you savor that same caramelized, deep-roasted, robust flavor of a time gone by. New Mexico Certified. Chile was the pride and joy of our father, who along with his brothers, were the first to flame roast and freeze green chile on a commercial scale. 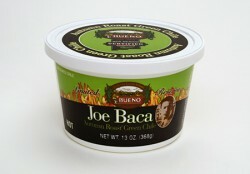 This chile uses our most premium Joe Baca cultivar, our meatiest, most flavorful, most robust green chile named in honor of our father. 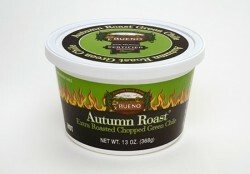 We combine it with our premium roast to create a one-of-a-kind, New Mexico Certified product. 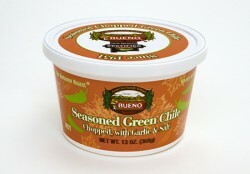 Seasoned with garlic and salt, this ready-to-eat green chile is ready to pour on burgers, sandwiches and over eggs.